The first half of the 2015/16 Bundesliga season will go down in history. A whole host of records were smashed in one of the most spectacular Hinrunden of all time and you chose FC Bayern München custodian Manuel Neuer as the top goalkeeper. The winner is the man who picks up the most votes from both the @Bundesliga_EN and @bundesliga_de polls combined and Neuer picked up a cool 73 per cent of votes on the English Twitter channel. 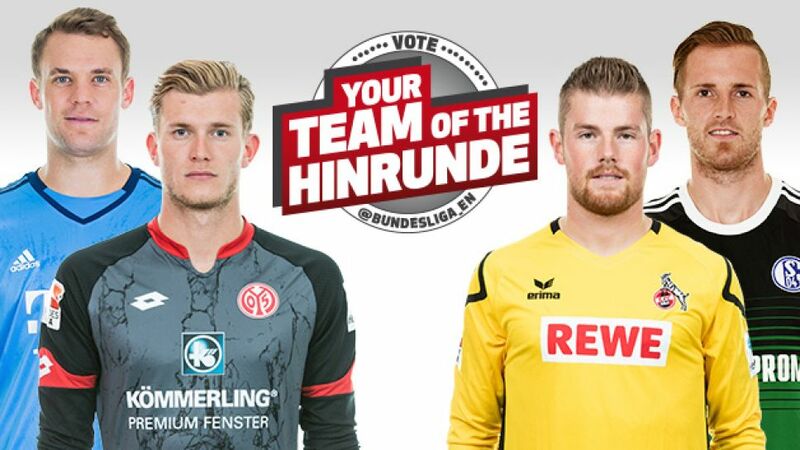 The Bayern stopper also scooped 51 per cent of votes on the German Twitter channel - as shown below.